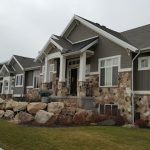 Stone Veneer & Cultured Stone Veneer - Better Than The Real Thing? Resources > Siding > Stone Veneer: Better than the Real Thing? Many homeowners want a rustic rock exterior because it adds curb appeal and value to a house. But finding the real thing isn’t easy anymore. 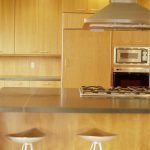 Instead, synthetic stone veneers have become the latest trend due to their accessibility, versatility, and overall convenience. Though manmade, this manufactured product consists of several ingredients, carefully constructed, in order to retain an authentic appearance. A mixture of cements, aggregates, natural materials, and iron-oxide pigments are all cast in molds which have been taken from nature. Then, afterwards, this cultured product is colored to match any specifications. 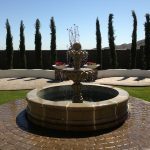 Lighter: Stone veneer weighs significantly less than the real thing, which makes it easier to handle, quicker to install, and no additional structural support is required. Optional Location: And since it is lighter, it can be installed anywhere. 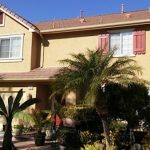 Most homes don’t have walls or foundations prepared for the weight of natural stone, but stone veneer allows your home to have that quaint look without all the extra strain. Cheaper: It costs about 1/4-1/2 as much as natural material, typically running about $3-4 per square foot. And once again, because it’s lighter, installation gets done in half the time, and no special footings, foundations, or other supports are necessary. Fireproof: It’s not as impenetrable as real rock, but more so than wood or vinyl siding. Environment: Stone veneer helps to save on expensive quarrying, preserving the environment—and your pocketbook. Maintenance-free: It’s surprisingly durable and doesn’t take any special maintenance except for the occasional spray of the hose. 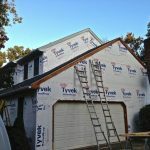 Need to find a pro for your Stone Siding Project? Interiors: We often think of it being put on the home’s exterior, but why not bring the outdoors inside. These façades are great for fireplaces, backsplashes, tiling, and any other interior designs. Gardens: It can be matched to any stone in existence, so why not get creative with your garden? 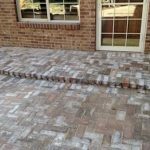 Create pavers, walkways, or benches made out of any “rock” around the world. Specialty: So your current exterior is chipping or cracking. Or maybe you have antique objects that need some restoration. This material can be handcrafted to match any reconstruction jobs, even for stone that is no longer naturally quarried. The Pros: Although the installation is much quicker than dealing with real stone, it doesn’t mean it’s a do-it-yourselfer. 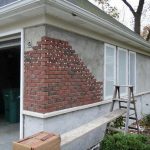 Unless you have skill with masonry or other construction, you may want to leave it to the pros since you still have to deal with mortar, flashings, and other technicalities. 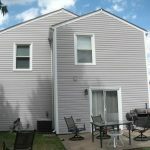 Though it may add to your expenses, we are talking about the sides of your house here. Therefore, it’s important that cultured stone veneer be installed correctly for your own family’s safety. Are Brick and Stone Still the Ultimate in Exteriors? Cement/concrete still have to be Quarried.